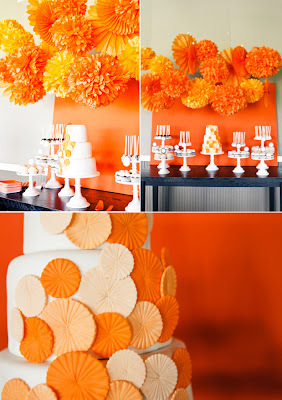 Juneberry Lane: Color Crazy: Party in Orange!! If you were with us last week, you'll remember we started a new series over here at Juneberry Lane; all about color and how the right hue can inspire you to have a fabulous party beyond your wildest dreams! Last Friday was RED, so it is only natural to move right along to ANOTHER one of my favorites (oh heck, they are all my favorites:)...ORANGE!! I just love orange, don't you? 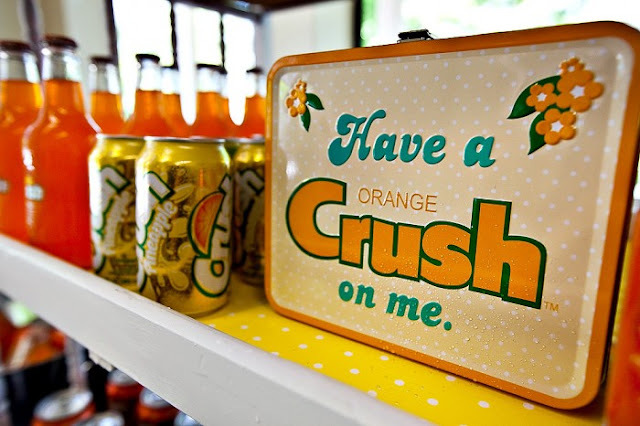 And if orange is your favorite color, here is a little bit about you . 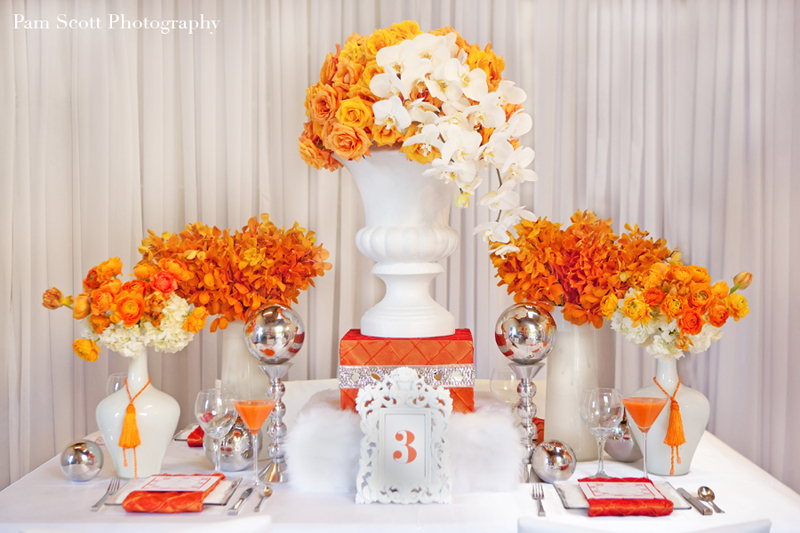 . .
To the human eye, orange is a very hot color, so it gives the sensation of heat. Nevertheless, orange is not as aggressive as red. 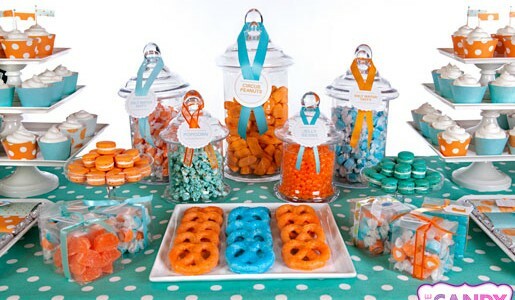 Orange increases oxygen supply to the brain, produces an invigorating effect, and stimulates mental activity. It is highly accepted among young people. 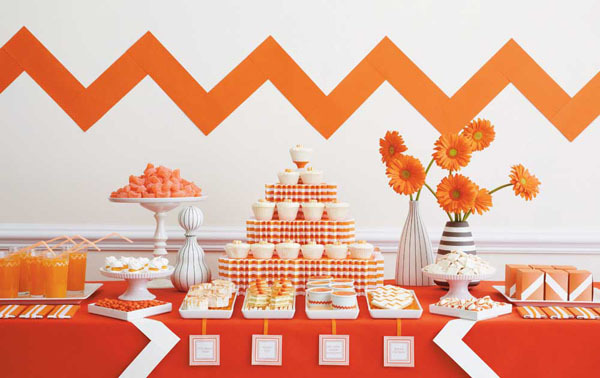 As a citrus color, orange is associated with healthy food and stimulates appetite. Orange fans are nature lovers. Being sports minded, they love anything to do with the outdoors. Taking long walks in the woods revives them. Trees and animals mean a lot to them and they want to be a part of nature. Always aware of their surroundings, they tend to be more adventurous than most. Even though they are impulsive and thoughtful, they generally are very much aware of what they are doing. Learning and remembering through experience is a strong suit of theirs. Orange lovers believe they are meant to have all the good things in life.